With summer fun on the way, it's a great time to rethink the way we visit vineyards and tour wineries. 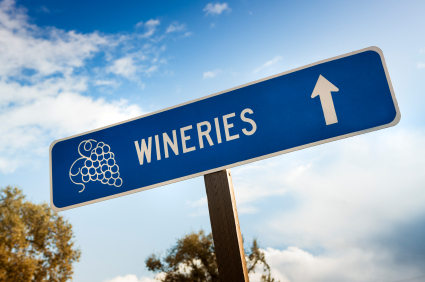 Keep in mind that the wine industry is expanding and changing quickly, so if you're planning to go winery hopping on your own, a good guidebook and a designated driver is a must. There have been two major developments in the wine industry of late. One is the expansion in the number of smaller wineries that should not be missed. The second is the huge number of small labels that are coming from the custom crush facilities (places that produce small runs for large growers, or those who don't own a winery). There's plenty to see and taste, but do your homework and make a plan to avoid the disappointment of arriving at the right winery on the wrong day. Or vice verse. For those who are interested in more formally guided tours, Select Italy has put together a choice of three tours that combine a love of wine with the rich and varied culture of ancient Italy, including the best regional dishes of today. The first food and wine tour takes place at Paestum, where history buffs or appreciators of architecture and archaeology will be fascinated with the region and the stories of its past as well as its tasty specialities. The Tuscan wine tasting tour goes deep inside of medieval Italy, including a trip into Montecarlo, which is a prime example of a medieval village that gives a glimpse of what life was like behind the castle walls. The tour includes, of course, an introduction to the unusual wines that hail from that area's culture, such as La Fattoria Michi, a winery that produces a blend of French and Italian wines. The Irpinia tour goes into some of Italy's oldest wineries to sneak a peek at the Italian Renaissance. Enjoy your wine country explorations, whether they are in your own back yard or someone else's. Wow! I never knew that this is nice. I want to taste those wine. Man, I want to go there! I like Italy because I like the scenery and culture there. Besides, its food is also world famous. The Italian pizza is well-known and the wines are famous. This is beneficial for both parties of individuals who are either experienced or completely inexperienced. A beautiful sale of an impending purchase that costs nothing but interest! That's an really good idea. And you have provided a good instruction. Thanks for all. Its always been my dream to explore Italy and their wine industry, knowing Italy is know for thw best wine in the world.Thank you for sharing. Hi, I'm a work from home mom who very much needs a vacation right now. I will definitely consider trying this. Thanks a lot for acquainting us with Itlaian culture. I love wining and dining..in togetherness. Fred, your blog on Italian wine culture show how different types of wines have their place, and the availability of the oldest wineries. short and sweet blog with a great information. I shared it using the bookmarking tools. I am planning to go into a winery tour and I am glad that I read our post. You have put together some fascinating facts! Thank you very much for this. Wine and Italy great combination. I mean wine in Italy. Wow, this wine culture at ancient Italy caught my interest since I love wines, hope I can still learn more. Hoping someday I can tour at Italy and learn more of their culture especially in terms of wine. I was thinking about my next destination and where should I go on my next vacation, and after reading this the answer came up! ITALY! Culture is something to be cherished. Often we tend to put it aside as if its a mere "passer-by", but without our culture we are just drones. This is what makes us alive - and we should uphold it vigorously. Italy is full of vast winery that developed during, and after the country's renaissance. A beautiful sight to behold for anyone wishing to make a trip. I have a close friend here in mexico who has been to Italy. She told me the wine countries there are so pretty. Thanks for sharing this great information.